The second open race of X Class Drone Racing's second season brought X Class racing to an entirely new audience — the MultiGP International Open. Hundreds of miniquad pilots got their first glimpse at the power, sound, and thrill of X Class racing, and anyone who thought racing big drones might be slow or boring were quickly set straight! Nineteen X Class pilots competed for top prize, and in a stunning, come-from-behind victory, Jon Gaiser notched his first X Class win. Though trailing in the final A Main event, Gaiser bested Lucas Dearborn, who had a motor desolder with just 20 feet before the finish line. Gaiser's victory marks the first loss ever for Colby Curtola in an X Class race, and it boosts Gaiser to a season tie with Curtola. Curtola, who clocked the fastest lap in qualifiers — a stunning 11.0 seconds — suffered fatal equipment failure moments before the final A Main race and was unable to start. His fast times in qualifier and heat races allowed him to take fourth overall for the event. With Gaiser's win, Zoe Stumbaugh, who also had systems fail during her heat race, drops to third for the season. But there's no doubt that she'll be gunning to move up in the next race. Right now, with totals so tight, the season crown remains anyone's game! The next open race will be August 26 at the West Coast Throwdown in Roseburg, Oregon. The next circuit race is set for September 29 at Antioch Speedway. Race three of X Class Drone Racing's second season brought circuit racing back to Antioch Raceway for the Fourth of July weekend. It was the first race to debut X Class Drone Racing's new season sponsors: Duke Distribution and Logistics, Liquid Nitro Energy Drink, and Kickass Beef Jerky. Once gain, sprint-car fans were treated to the ongoing battle to dethrone undefeated Colby Curtola — and this time there was a twist. Shortly before the gates opened, X Class race director & CEO Noah Furhman had a big announcement. With the league's new partnership with VikingUAS, top finishers of this season's circuit racing season win an opportunity to try out as professional high-speed camera-drone pilots in front Hollywood executives. This new prize added extra intensity to the racing. Despite the best efforts of Jon Gaiser, Zoe Stumbaugh, Shane Traweek, and the rest of the field, Curtola inched out another victory. The target on his back remains as the season heads to Muncie, Indiana for the X Class Open Race at MultiGP IO and the next circuit race on September 29 at Kings Speedway in Hanford, California. 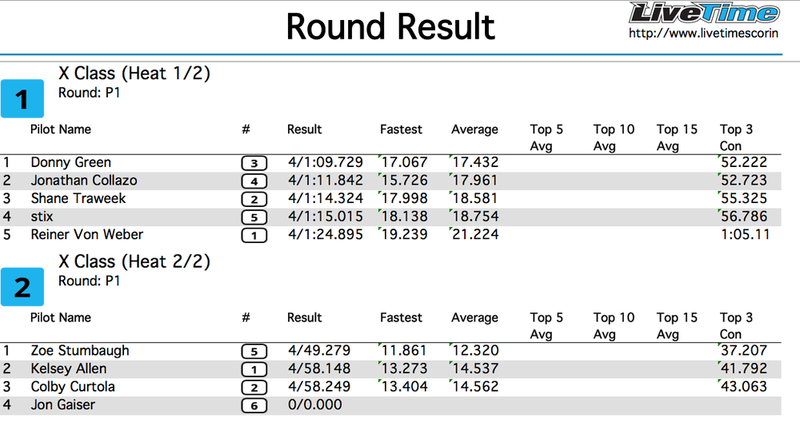 Race two of X Class Drone Racing's second season was a historic first; never before has drone racing been a full race division of an auto-racing event. Sprint car fans loved X Class racers battling it out on the oval track of Antioch Speedway — and Zoe Stumbaugh's spectacular crash. 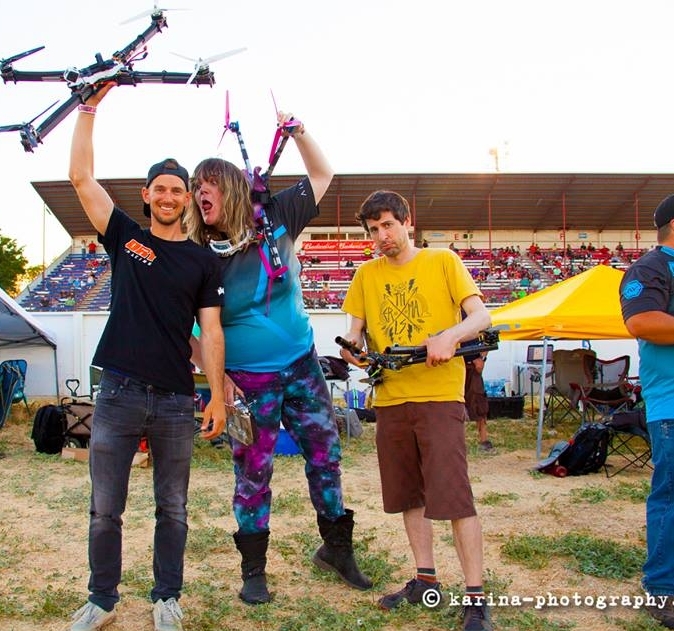 With Colby Curtola once again putting up a dominant show of force, the crowd immediately took to the drama and energy of drone racing. As our first ever Circuit race, all pilots received nine season points, regardless of finish. Points based on finish will begin with the next circuit race, scheduled for July 7, 2018 at Antioch Speedway. X Class returns to the Livermoore Flying Electrons for the first race of Season 2. With machines going twice as fast as season 1 it made for quite the show for spectators as machines reached upwards of 100mph flying around the course- going head to head through 10x10 foot gates while doing it! Another historical precedent in Drone Racing has been set, with the future looking brighter than ever with a season of twice as many races planned. Prepare yourself pilots, and get excited racing fans! The Inaugural race season for X Class was brought to life out of the vision and persistence of Miguel Gonzaga, Zoe Stumbaugh, and Reiner Von Weber. 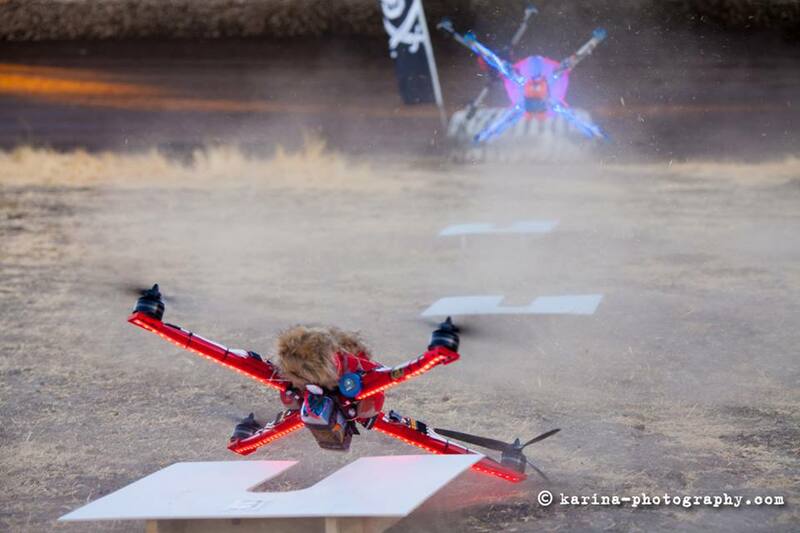 They planned to create a four race giant drone racing series that would be held at AMA sanctioned events across the West Coast. The rules were simple (800mm-1200mm) everything else was open. Anticipation for the first race was intense; no one knew if it could really be done and how the spectators would react. Team Vondrone stepped up to the plate with four working rigs, hoping that someone else would have the drive to show up with their own as well. Colby Curtola not only showed up with a working rig, but was even able to lap some of the other pilots in that short race. Behold, X Class was born. As the races continued, newly minted X Class pilots started to show up one by one with new and innovative ideas. By the end of the third race of the season, Zoe was hitting new never-before reached speeds with her unique frame and sub-system engineered by her and Andrew Dysonian. By Race four, Cal Berkeley hosted and raced their own custom build that was designed in their engineering classes. Giant drone racing hit a new high as a premier college student body joined the racing season with a true team-based approach. This demonstration was the first giant drone exhibition race to be held on an AMA Field under AMA Rules in the US, and the first real debut of X Class racing. The first real giant drone race in history, X Class Season One Race One was also historically fun! With the event generously sponsored by our friends at Tattu, our original batch of top pilots wowed the spectators, demonstrating that giant drone racing’s time had come! X Class began to hit our stride at race two, graciously hosted by the AMA club at Bayside RC and sponsored by our friends at Tattu. 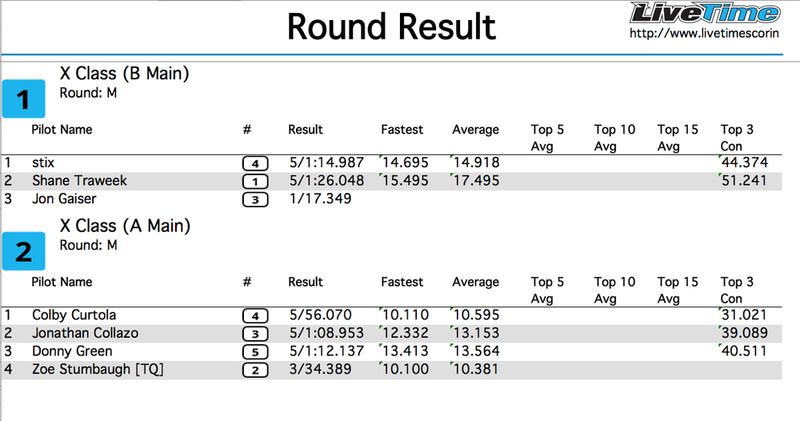 The racing was intense, particularly for our top pilots who had just cut their X Class teeth at race one. X Class held an exhibition race at Flight Fest West 2017 in Vallejo, CA, exposing Giant Drone Racing to a large community of traditional RC hobbyists. Highlights included the Flying X Class Disco Ball created by X Class team member and pilot Kevin Sellers, along with some old-school freestyle! 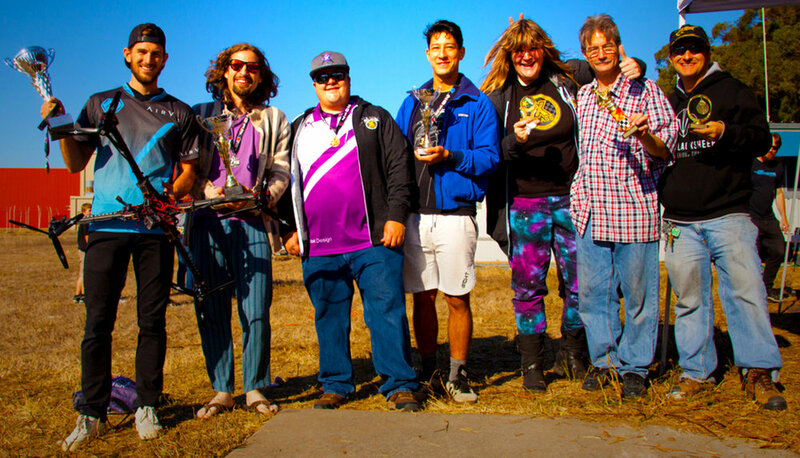 Graciously hosted by our friends at UAVs@Berkeley, The fourth and final race of the inaugural season brought out our largest and fastest pool of competitors yet resulting in some of the best giant drone racing ever seen, along with a generous helping of unexpected drama!